Over the past few weeks I’ve been creating the backstory for the villain of my series, The Conjurors. I want him to be believable, compelling, and frightening. For inspiration, I looked to the masters of young adult fantasy and considered which villains I found most captivating. Below are my top five. J.K. Rowling may not be the first author to use Hitler as a model for her super villain, but she is the most creative, in my opinion. 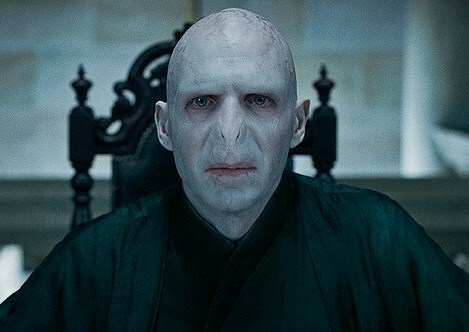 Voldemort’s obsession with the purity of the wizard race, combined with his sociopathic childhood, make him both creepy and intensely threatening. Throughout the series no one was safe – not even civilians or children. When he whipped out his wand, my palms would sweat for whoever was at the other end of it. And let’s not forget his snake, Nagini. I think I’d rather submit to “Avada Kedavra” than be eaten by that enormous monster. A power-mad angel with almost unlimited powers, Metatron feels undefeatable in the His Dark Materials series. He uses the language of religion to create a dictatorship from heaven, where he can control human’s lives like puppets. Perhaps most chilling of all, he is even more powerful than The Authority, who is god in the series. Throughout the books, I found myself wondering how he could ever be taken down – but it was by his own weakness in the end, not someone more powerful than himself. My one gripe was that the hero and heroine of the story, both children, weren’t the ones to lead him to his doom. Using the souls of dead dragons to power his magic? Yikes! 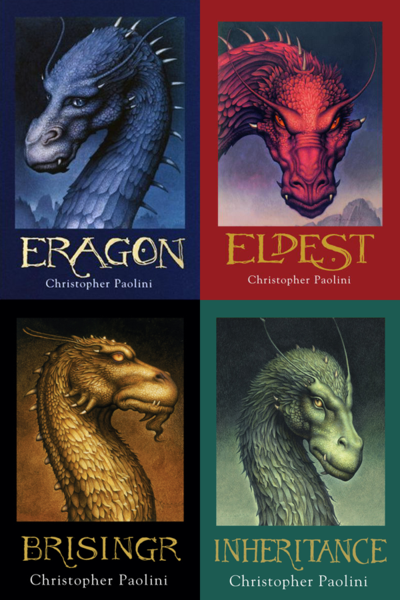 I have to give Paolini credit for finding one of the most original and sinister ways for a villain to derive his power. Galbatorix is absent for much of the series, but he is always talked about. This makes him more intimidating than if we were encountering him around every corner. And when Eragon does finally encounter the villain of the series, he doesn’t disappoint – he can possess people and, like Metatron, has to defeat himself because he is too powerful to be destroyed by anyone else. The Giver was one of the most fascinating books that I read when I was younger, and Lowry has recently finished the series in 2012 with the final book, Son. In this series, it isn’t one villain who acts as the antagonist of the series, but rather society as a whole. The mob mentality of killing off those who are weak, and a conscious decision to shut off emotions, leads to very cold and clinical assessments of who should live and die. It’s a world where babies who cry too much are killed, having a disability can lead to execution, and it is up to children to be the moral compass for a society that has no idea that it is out of control. In this way the villain of the series is like the hydra – one head is cut off only to be replaced by two more. The House of Night series achieved something difficult when they created Neferet, a beautiful, powerful and charismatic vampyre who wants to instigate a war with humans. Part of Neferet’s appeal comes from the fact that she is so likeable at times – for a good part of the series you hope she can be turned around. She also has a great backstory that really makes you feel for her. I thoroughly enjoy a villain who I can sympathize with and isn’t pure evil. When the hero or heroine has to defeat someone they care about on some level, the stakes seem higher. Did I miss your favorite YA fantasy villain? This entry was posted in Insights from Popular YA Fantasy and tagged Christopher Paolini, harry potter, His Dark Materials, House of Night, J.K. Rowling, Kristin Cast, Lois Lowry, P. C. Cast, Philip Pullman, The conjurors, The Giver Quartet, The Inheritance Cycle, villians, YA fantasy, young adult fantasy by conjurors. Bookmark the permalink.